This morning Hollywood lost one if it’s last remaining starlets of the golden age. It is no secret that Elizabeth Taylor was radiant. 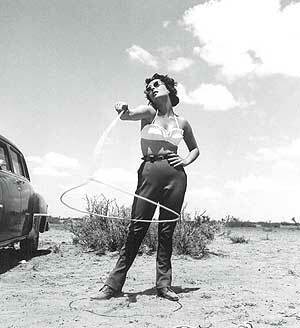 A few years ago I heard my favorite Elizabeth Taylor story from a friend who was a hairdresser in Santa Monica. In the 60s he claimed to have worked closely with Ms. Taylor’s people. He told me that Elizabeth was gorgeous in person and every time she walked into a room your attention naturally gravitated towards her. After he had seen her at a few parties, only for short periods of time, he had begun to wonder how she could look younger and so well rested every time he saw her. Do you want to know why? He claimed that a couple times a year, Elizabeth would retire to a resort in the Swiss Mountains somewhere for weeks at a time. Her doctors would put her to sleep for days while she remained in bed connected to feeding tubes with hired nurses exercising her limbs around the clock. So Hollywood Babylon, I know. But for some reason it’s those extravagant celebrity stories that make her a legend in my eyes. Most of us associate her gorgeous violet eyes, jet black hair and pale white skin with the movie Cleopatra (1963) or as the inspiration for Michael Jackson’s fucked up face. However, I will always remember her for her ability to juggle acting with her love affair with the tabloids. Since the beginning of her acting career Ms. Taylor had been close with the paparazzi. In fact her parents’ close relationship with famed Hollywood columnist Hedda Hopper helped Liz land her first acting jobs on the Universal lot. In the last 60 or so years her relationship with the press has been dramatic. She was constantly being scrutinized for her bad health, her strange relationship with Michael Jackson and her 8 failed marriages to large profiled men like Nicky Hilton, Michael Todd and also to his close friend Eddie Fischer. In memory of the late Elizabeth Taylor, who died early this morning of congestive heart failure at the age of 79, I would like to share my 3 favorite Taylor movies. Feel free to share yours. 1) Giant (1956)- We got to see Elizabeth gracefully age 30 years with Rock Hudson and James Dean in this epically melodramatic movie. She had finally made the leap from child star to adult actress. 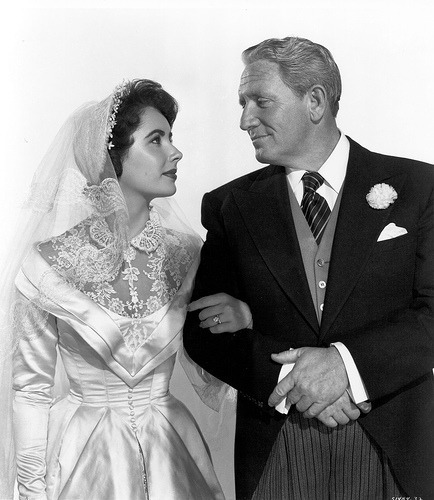 2) Father of the Bride (1950)- Taylor’s natural high from her fairy tale wedding with Conrad Hilton translated beautifully on screen making this one of the most memorable films of the 50s. 3) Butterfield 8(1960)- as an emotionally charged party-girl/ part-time model Elizabeth Taylor made it cool for big actresses to play call girls. Without this movie there would be no big stars in Breakfast at Tiffany’s(1961) or Pretty Woman(1990) they would just be forgettable smutty B movies. Elizabeth, I miss your ability to entrap men, your large jet black yet elegant helmet hair, and of course your intoxicating white diamonds. 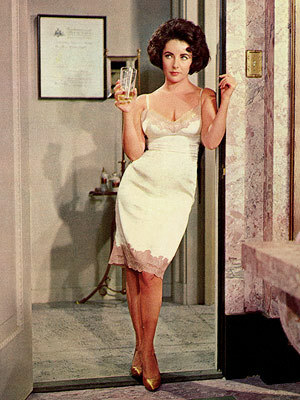 Elizabeth Taylor, I Miss your face- Shassie.